Just a week ago, we reported that the first shipment of Model X’s has cleared customs and that the company’s stores and service centers, also sometimes referred to as “experience centers” in China, are receiving the all-electric SUV. Now we learn that Tesla hosted a special delivery event for the first 6 Model X owners in China. The event was hosted by Ren Yuxiang, Tesla Vice-President for Asia-Pacific, and Zhu Xiaotong, Tesla China General Manager at the ‘Tesla Beijing Golden Port Experience Center’. The two executives personally handed the keys to the first 6 Model X owners in front of media and other guests. Interestingly, the first owners almost all chose white for the color of their vehicle. It is a popular color in cars in China since it represents the ‘metal element’ and symbolizes purity in Chinese culture. Though it is also associated with death and is used predominantly in funerals. During the event, Tesla also highlighted the progress it made in the country since its debut just over two years ago. The automaker has opened nearly 20 experience center in mainland China. It also expanded its charging networks with now more than 400 Superchargers at close to 100 locations and more than 1,300 Destination Chargers. In the past, Tesla admitted to weakness in sales in the China which it attributed in part to misconceptions about charging. It explains why Tesla put a lot of effort in expanding its Chinese charging network which grew faster than in any other country. The company also launched ‘Tesla Charging Partner Program’ in China to promote a national EV charging standard. While only Model S owners have been able to use the network in China, now the first few Model X owners will be able to take advantage of it. 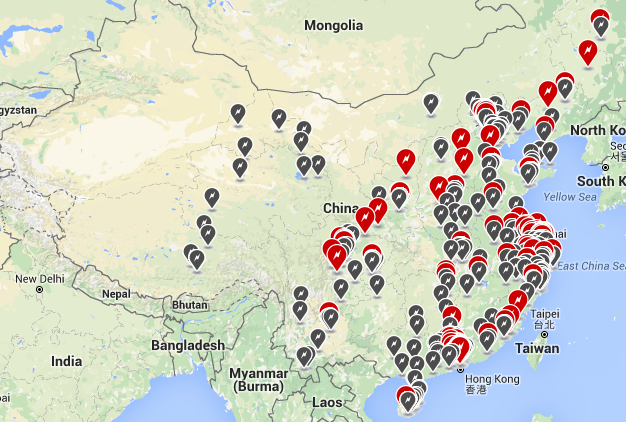 Based on a tally, there are over 2,600 Model X reservations in mainland China and more than 700 in Hong Kong.